Working with your executive team, our consultants can support you through the business planning process using traditional consultancy tools to ensure full ownership of the outcomes by the team. Our business and sales team development services are primarily aimed at a go to market approach but can include pre-development engagement to support data collection throughout the process. 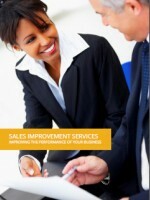 Technosys is a specialist provider in the world of IT Service Support Management tools. 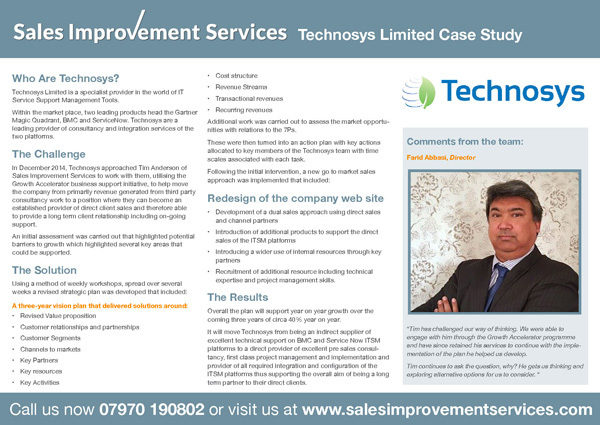 In December 2014, Technosys approached Tim Anderson to help move the company from a situation where revenue was primarily generated through third party consultancy work to becoming an established provider through direct client sales and long term client relationships.